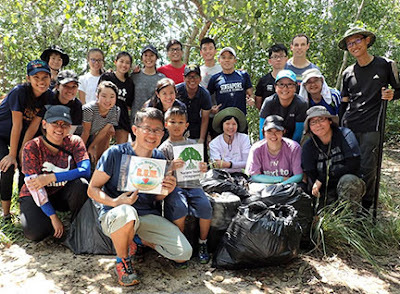 Join volunteers from the Restore Ubin Mangroves (R.U.M.) Initiative and Nature Society Singapore, Marine Conservation Group as they clean up this Pulau Ubin site. In preparation for restoration work. A chance to visit Pulau Ubin. Meet fellow nature lovers. Learn more about how we plan to restore the mangroves without planting! And make a difference to Pulau Ubin too. A glimpse into what happened thanks to Lisa Lim.